Yes, NASA was 50 years old on Tuesday, July 29, 2008. Here's a vintage NASA logo on an X-15 at the National Museum of the United States Air Force. We like NASA, and we like 50th anniversaries. 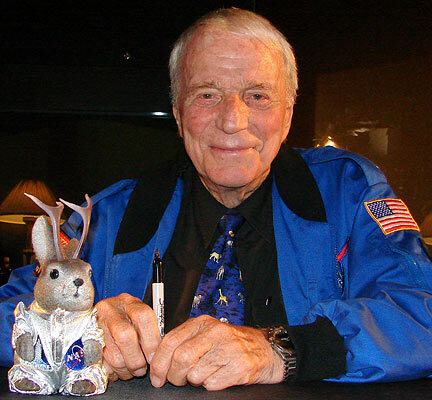 Ace found a NASA uniform to wear when he met Mercury Astronaut Scott Carpenter at the Kansas Cosmosphere and Space Center for a story we did on the way space age neon signs may have been influenced by satellites. We published that on the 50th anniversary of Sputnik. 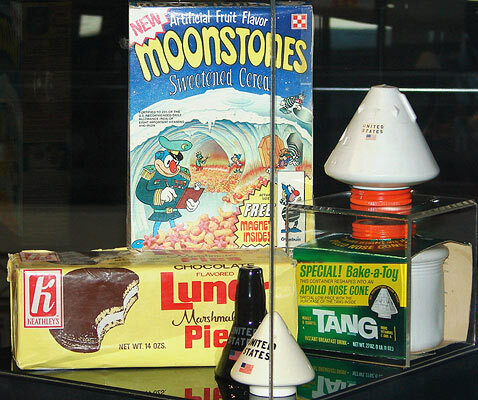 We also commemorated the 38th anniversary of the moon landing last year. 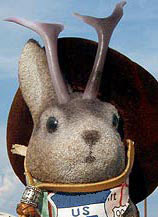 I still remember seeing it on a bad black and white TV, along with the rest of the country. 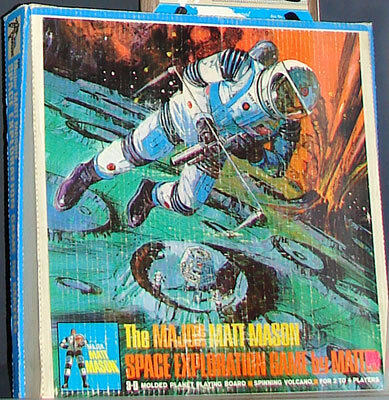 But what we really like are the toys, like this Major Matt Mason Space Exploration game. We love Colorforms aliens, Multiple Toymakers space vehicles, and all that stuff that made a baby-boomer childhood so magical. 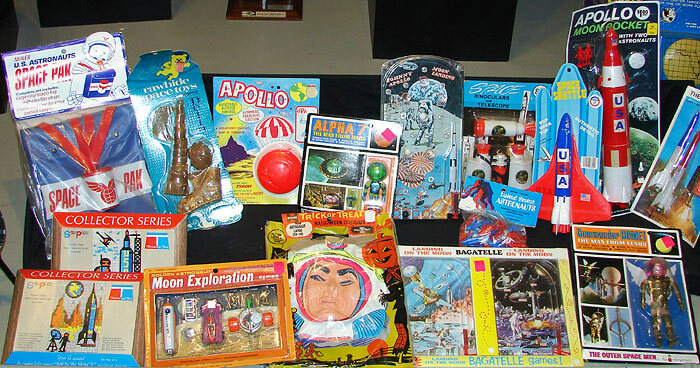 All these toys are at the Cosmosphere, by the way. 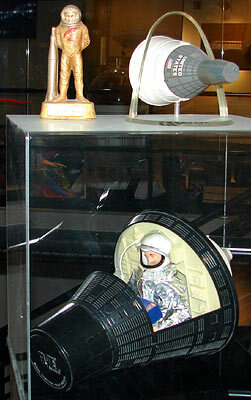 The TANG Apollo capsule is something I heard about as a kid, but had not seen until this exhibit. And who could forget the G.I. Joe Mercury-like space capsule? Although I don't recall them being black. I think this may be a repro. I've got one of these Snoopys somewhere. He's actually so cool that I refuse to cannibalize his helmet for Ace's wardrobe, and that's saying something. Thanks, NASA...for Major Matt Mason, Billy Blastoff, Revell space model kits, Marx plastic astronauts and for making us "count down" to stuff. Publishing in 5..4...3..2..1. 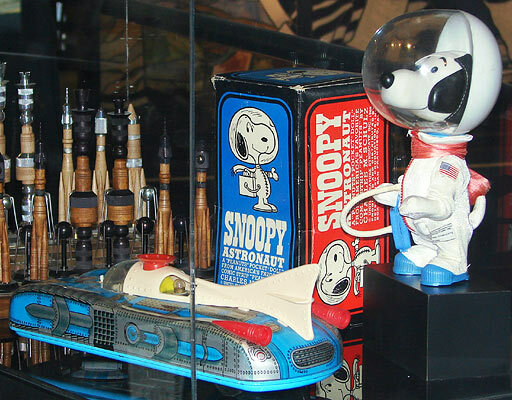 I grew up with the Space Race and had all of the cool Major Matt Mason toys. 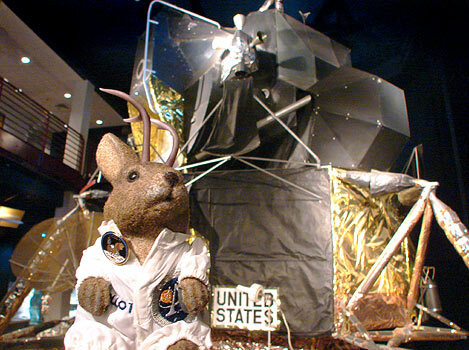 I remember going to the Gulf Station and getting a cardboard lunar module that i built. Watching Neil Armstrongs first steps on the Moon at my grandmothers house. Great times for a kid to grow up.